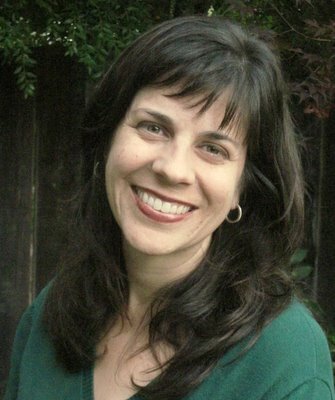 You might know that I’m a big fan of blogger and author Sarah Reinhard. 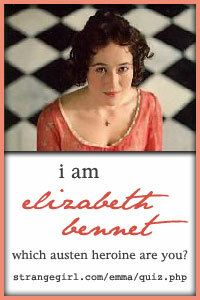 I’m thrilled, therefore, to be a stop on the blog tour for her latest book! Read on for her wonderful reflection on one of the mysteries of the rosary, then check out my review of her book below. Can you imagine losing the Son of God? My reflections on finding Jesus in the Temple invariably take me back to an imagining of myself as the person who misplaced God. I imagine the head slapping and self-recrimination I’d be temped to do and the barely concealed hilarity I’d feel at finding Jesus right where I’d left him. Mary and Joseph did not plan to leave Jesus in the Temple. He was supposed to be with the caravan. I wonder if they had a “Plan B” for not being able to find Jesus in the caravan or with the stragglers a ways back. So often in life, I think I can plan my way to success. I have a Plan A and then I have a Plan B. Every situation is covered, or so I think. Then reality hits. Reality often looks nothing like what I’ve planned for, and I find, more often than not, that it’s a good thing. It has taught me to trust in God and to believe that he really will be where I need him to be. Jesus doesn’t need me to have a Plan B…or even a Plan A, much of the time. He simply needs me to trust in him and follow where he leads. It’s funny how something so simple–trust–can be so difficult. Mary and Joseph show me how to do it when I examine their finding him in the Temple. They don’t know where to look at first, but when they find him, they hold on to him. That’s what I need to do, too: hold on to him. Ginny again, with some thoughts on Sarah’s new book. Let me just say that it’s wonderful. 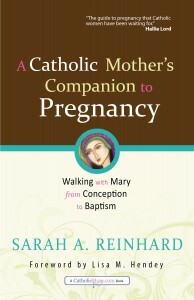 In brief, it’s a Catholic pregnancy guide for mothers, arranged week by week. Yes, like many pregnancy guides, each week offers information about what’s happening with your body and your baby, but the main focus of the book is spiritual. And that’s what makes this book not only unique among pregnancy guides, but seriously, seriously cool. For every week, Sarah reflects on one of the mysteries of the rosary through the lens of motherhood (you got a sample of that above), and she also shares various faith practices that are meaningful for pregnant moms. These include everything from lighting a candle at church to making Sunday a day of rest to developing a closer relationship with (or even choosing!) a patron saint. She also addresses the various (ahem) not-so-pleasant parts of pregnancy: the mood swings and exhaustion and worries and the whole cocktail of feelings that make up the reality of being an expectant mom. In fact, that’s one of the things I liked best about this book: it’s very honest. Sarah (a mother of three) doesn’t pretend that she herself wandered around for nine months radiating the joy of the miracle of new life; instead, she frankly acknowledges that it’s tough work, baby, and there are times when pregnant ladies feel anything but privileged and dewy. But — yes, there’s a but! — that’s where the wonderful reflections and faith insights come in. Sarah shows how an active spiritual life can help you through the heartburn and the swollen legs and the nausea, giving you a focus outside of yourself and helping you tap into the reason for all the ickiness. And she does it all in the voice of a good friend who has been there herself and knows what she’s talking about. When you’re pregnant, I’ve found, there is really nothing more comforting than that. So if you know someone who’s pregnant, or is thinking of becoming pregnant, this is the perfect gift. Heck, I’m not pregnant, and I’m still finding tips to enrich my prayer life. You’ve gotta love a book that does that. This book tour is a great intro to the book! Loving both! Ginny – thanks for your review of Sarah’s book and your support of moms in general! It is a great book, and I say that as someone who has never given birth, but as someone who loves the Rosary and loves the child that has been given to her with such grace.